Plantic Technologies Ltd, a supplier of performance biopolymers based in Australia, claims it has developed the world’s first renewable and recyclable ultra-high barrier packaging format, Plantic eco Plastic R.The new material format combines PET and Plantic biodegradable film to provide a packaging material which has ultra-high gas barrier properties and is made from up to 60% renewable materials. “Plantic eco Plastic R, unlike other barrier packaging formats, can be fully recycled with the PET recovered in the traditional recycling streams with Plantic’s barrier material dissolving and biodegrading in the process,” says Brendan Morris, Plantic Technologies CEO. “The combination of renewable materials with recyclable materials is unique in the packaging sector and brings together the best of both bioplastics and traditional materials. 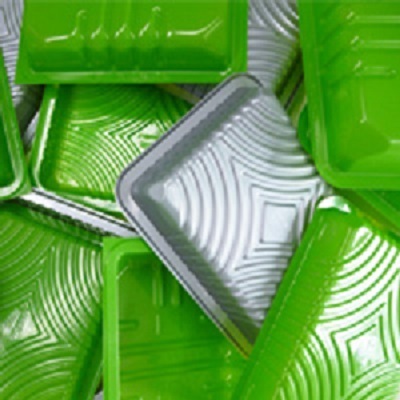 According to the company, Plantic eco Plastic R trays and roll stock require no investment in new processing or packaging technology and can be directly substituted for existing materials into the supply chain. They are a drop-in replacement for a range of traditional plastics used in modified atmosphere and ultra-high barrier packaging. The rigid trays and roll stock are offered in a high clarity transparent form as well as a variety of colors and even multi-color formats. Compared to traditional barrier plastics, every 1,000 metric tons (mt) of new material being used is said to save 5.4 million Kwh of energy or the equivalent energy needed to power 850 homes per year, and 2,700mt of CO2 equivalent to planning 300,000 trees or removing 700 cars from the road.